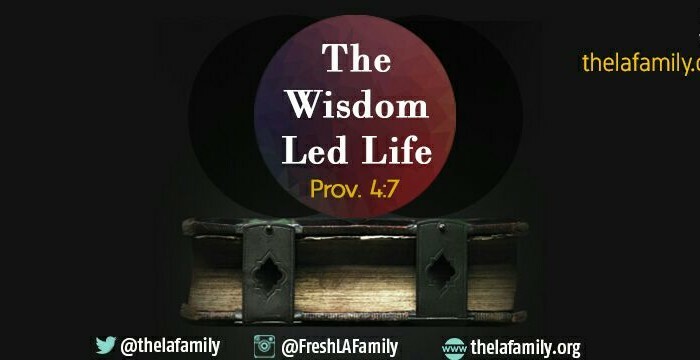 Year 2016 is our year of The Wisdom Led Life (Prov 4:7). Join us! Please sign up to join @theLAfamily by clicking here. Please add “LAFamily Int’l” as friends. And like LA Family Facebook Page. C) Via WhatsApp? Please write Blessing (WhatsApp only) on +2348066485077 and we’ll add you. Also please complete membership form (see link below). ONE MORE THING. Please click here to fill our membership form so we can add you to our database; this will help us stay in touch with you as we journey through the word.